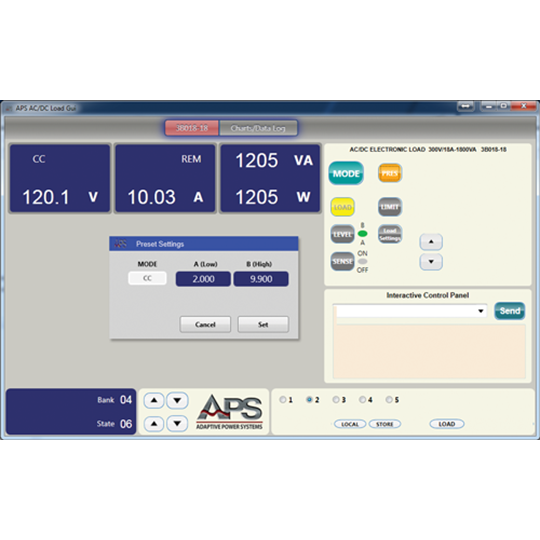 Choice of power levels to fit your requirements. 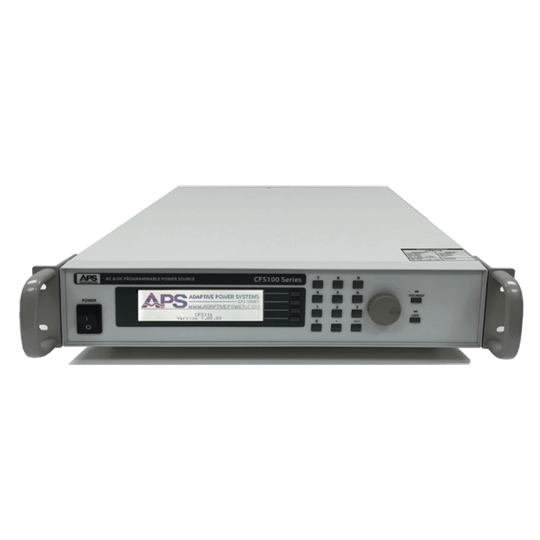 Both AC only and DC only output capability in the same product . 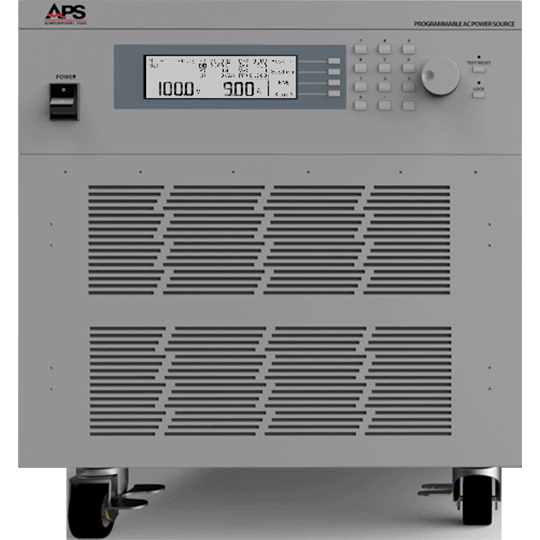 3-phase AC output models have single, split and three phase AC output modes available. 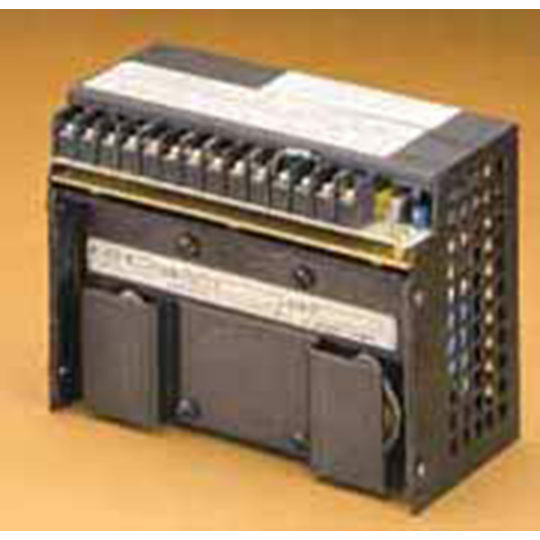 Wide AC frequency range covers both industrial/commercial and avionics/defense applications. Fifty memory locations with nine test steps for Pass/Fail measurements against pre-set limits. 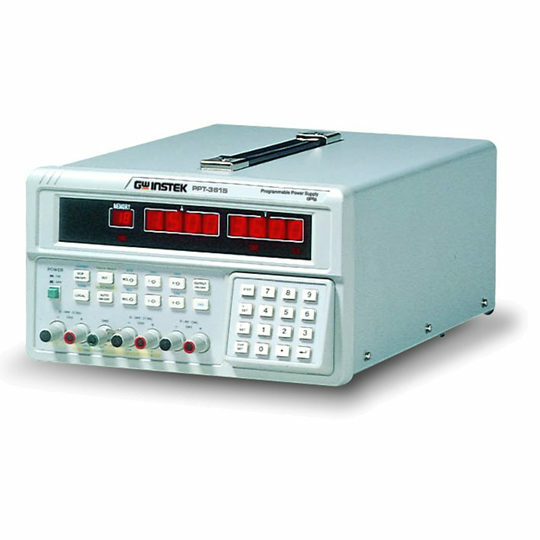 Voltage drop-out test capability built-in. 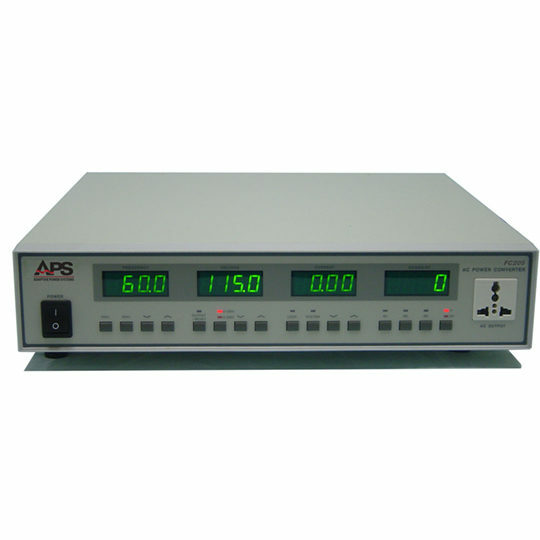 Standard USB and RS232 remote control interfaces. 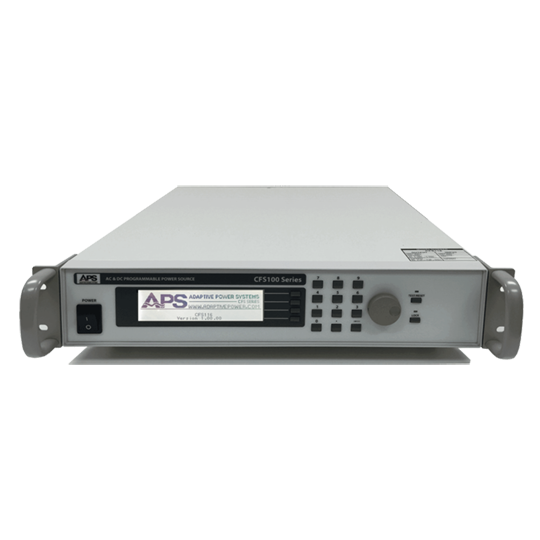 Optional Ethernet / LAN interface for ATE test system use. 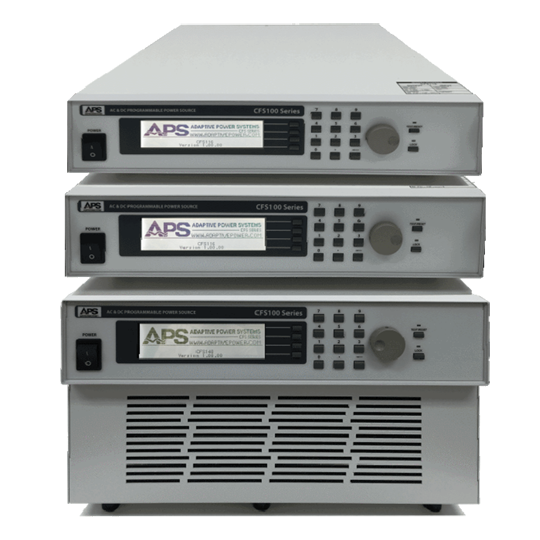 Single Phase AC input (CFS100) or Single and Three Phase AC input (CFS300). 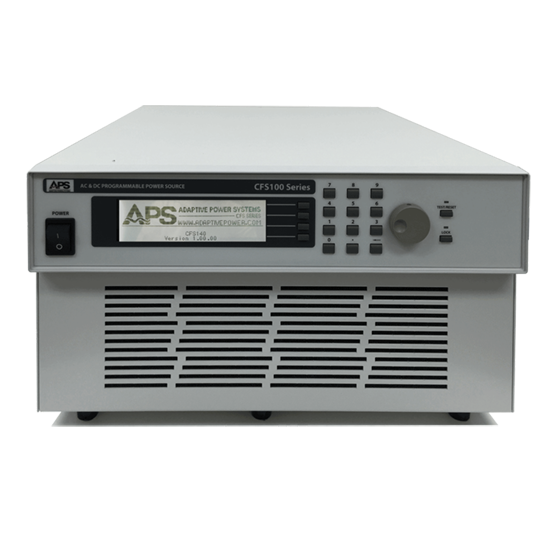 In terms of choice of power levels, the CFS Series covers two branches: the CFS100 and the CFS300 Series. 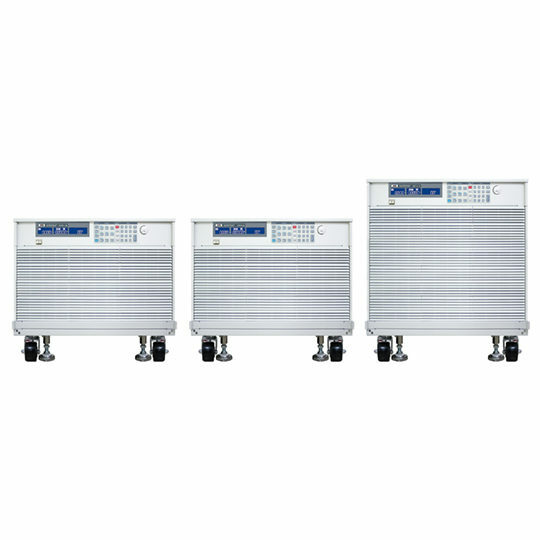 The CF100 Series are 1-phase AC input products that can output AC power in the range of 800VA to 4000VA, as well as DC power in the range of 400W to 2000W. 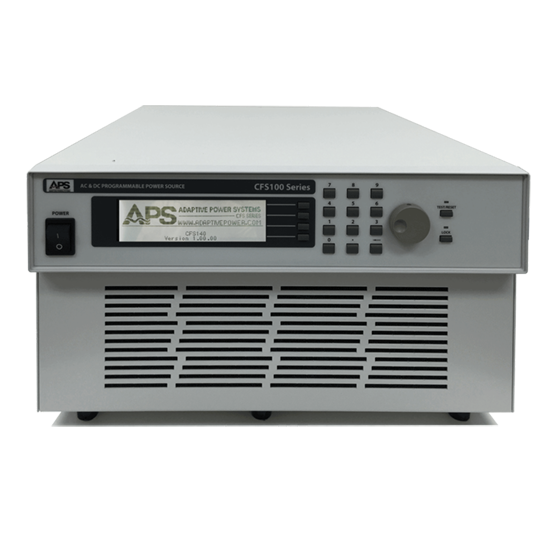 On the other hand, the CFS300 Series contain 1 & 3-phase AC input products able to deliver from 3kVA(kW) to 6kVA(kW)of AC and DC power. Their main specifications are summarised in the tables below and if more information is required, please take a look at the datasheet or let us know of any concern you may have.